I am a Truman alumna (German and Art History, ’07) and I am truly excited to be back on campus and working alongside the Art Historians who introduced me to the history of art and made me want to pursue it further. Teaching Art History is one of the coolest jobs. I get to spend my time reading, thinking, and talking about how artworks visualize important and changing social, historical and religious ideas across the globe and throughout history. 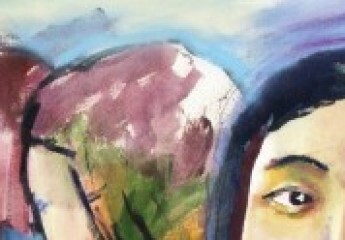 My hope is always that I can begin to open students’ eyes to the power of their visual surroundings. If you ever want to talk about modern art in Central Europe or about applying or attending graduate school, feel free to stop by my office OP 1231 or email me at hcook@truman.edu. We are very pleased to have Prof. Cook on campus this year, and know that students in her classes are benefiting from her knowledge and enthusiasm. 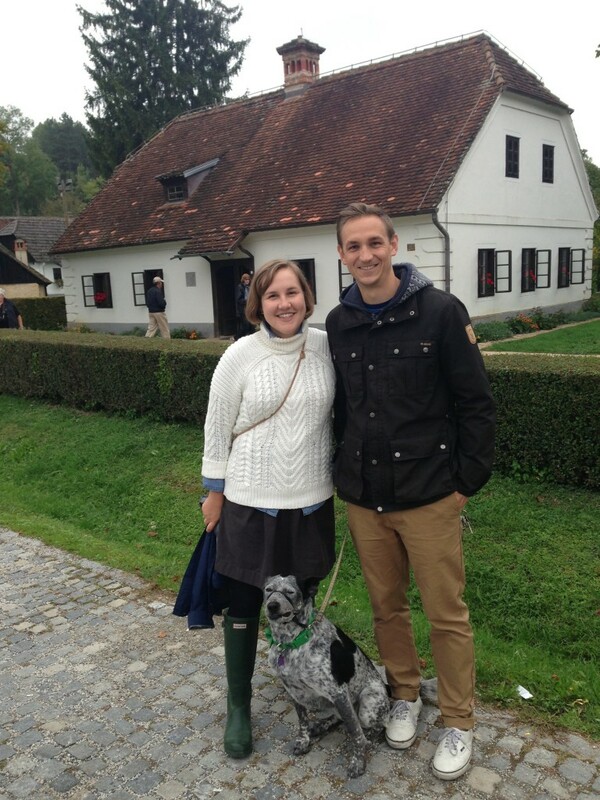 Prof. Heidi Cook, her husband Brent, and Pumpkin, in Kumrovec, Croatia in front of the house where Yugoslavian dictator Josip Broz Tito was born.